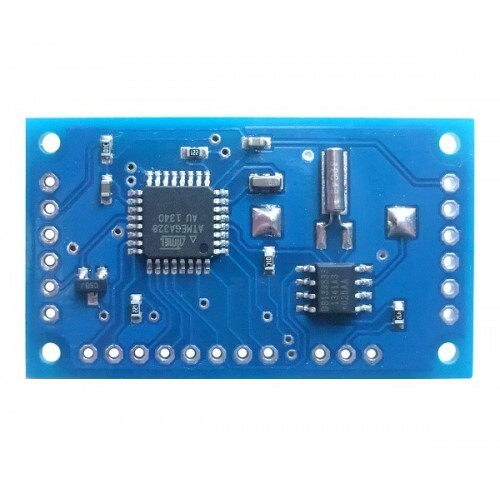 This is an enhanced version of our Ardulog Data Logger V3 board. We have added a Real Time Clock and battery backup to make this a standalone micro-SD card data logger with real time clock functionality. Of course, being an Arduino based board, you can use it and program it with the Arduino IDE for any other purpose. 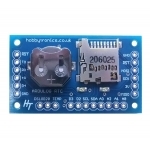 The Ardulog-RTC comes with an ATmega328 chip and the Arduino UNO bootloader installed so you can use it as a standalone Arduino board with built-in microSD card adapter and Real Time Clock functionality. To make it even more useful we have added connection pins for the popular Dallas DS18B20 Temperature Sensor. So to make a standalone Temperature data logger you only have to add one of these little IC's. 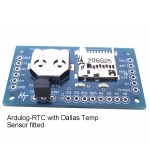 The Ardulog-RTC code includes the functionality for reading from this device. 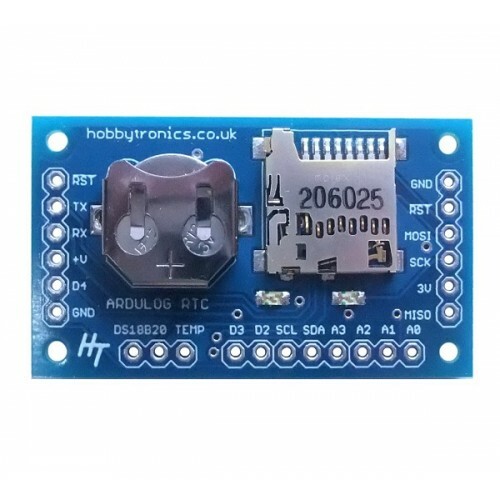 In order to program the Ardulog-RTC board you need a serial TTL connection. 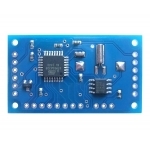 We recommend the Sparkfun FTDI basic board as this is pin compatable with the six pins on the left of the board. Select Arduino UNO as the board type within the Arduino IDE software. The clock comes preset to the correct UK time (approximately). With the Ardulog-RTC software installed you can set the clock date and time using the Arduino Serial Monitor program (or a similar terminal program) set to 9600 baud. Send the date/time by sending a command in the format..
As it stands, the Ardulog-RTC software logs the date and time to the microSD card. You will need to modify the code to log the data that you want to record. 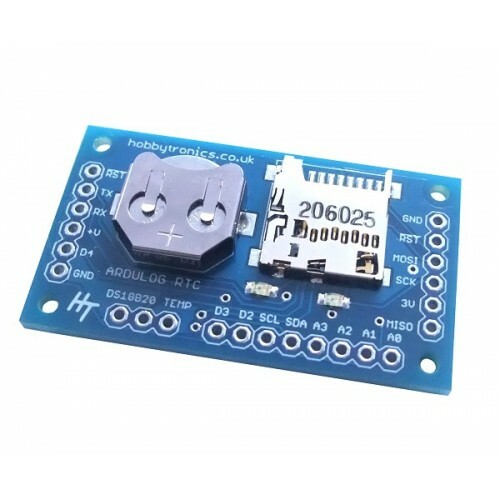 If you wish to log Analog inputs or to connect to I2C and SPI devices, the Ardulog-RTC code is easily modified. Be aware that as the Ardulog board runs at 3.3V, the maximum analog voltage it can measure is 3.3V. Higher inputs will need to be scaled down using a resistor divider.